The perfect combination of elegant and cool! 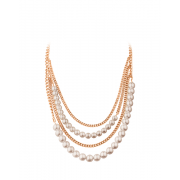 Four-row rose gold plated chain necklace made with asymmetric rose coloured faux pearl strings. 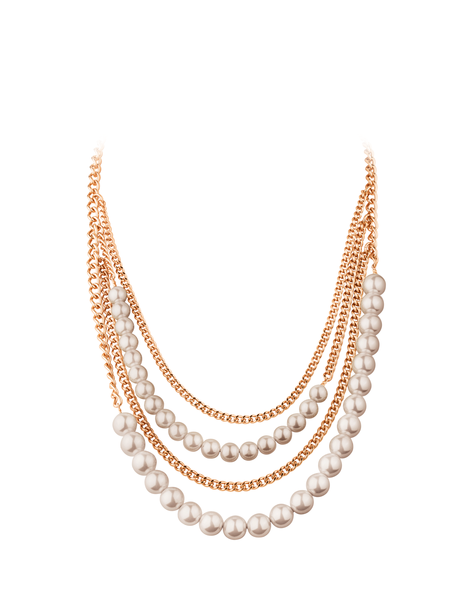 A great piece for that special night out.